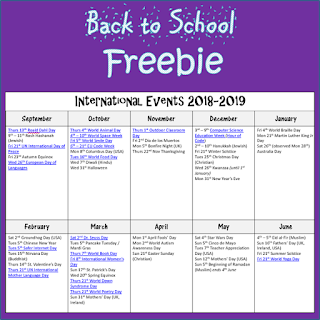 I recently put together a calendar with many celebrations during the 2018-2019 school year. It includes things like international events, major religious celebrations, commemoration days, World Book Day etc. Some of the events include links to websites about them. The calendar is editable so feel free to remove and add in what you like. Click here to download it for free from my TPT store. 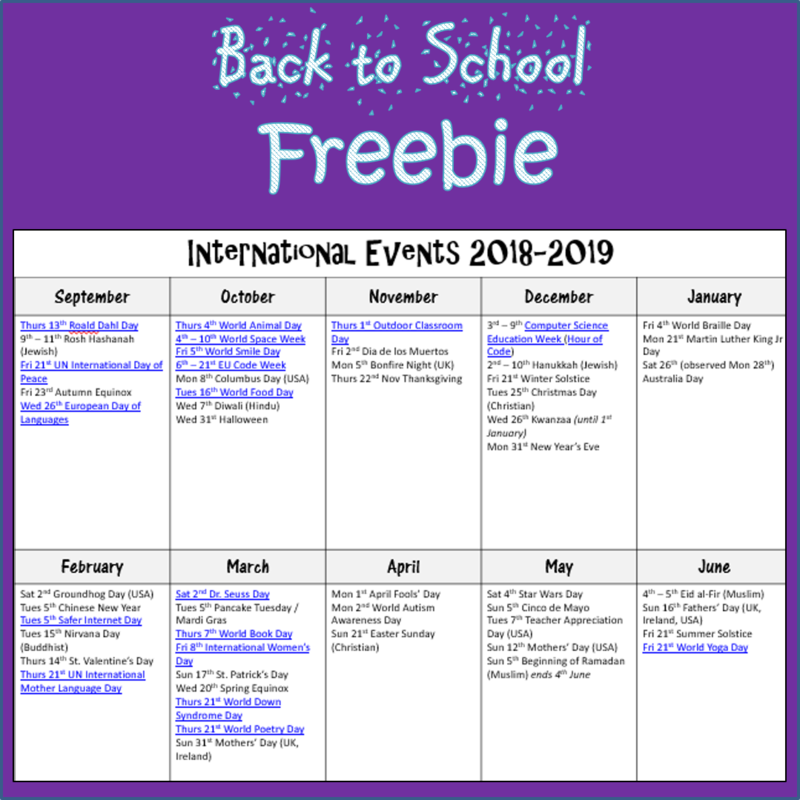 Irish teachers, Ciara Brennan (AKA @PrimEdTeacher on Twitter) is compiling a list that includes lots of Irish-specific events like GAA matches, national science fairs, the Texaco art competition, etc. You will find these "Dates for Your Diary"published on the wonderful Seomra Ranga website in the near future.